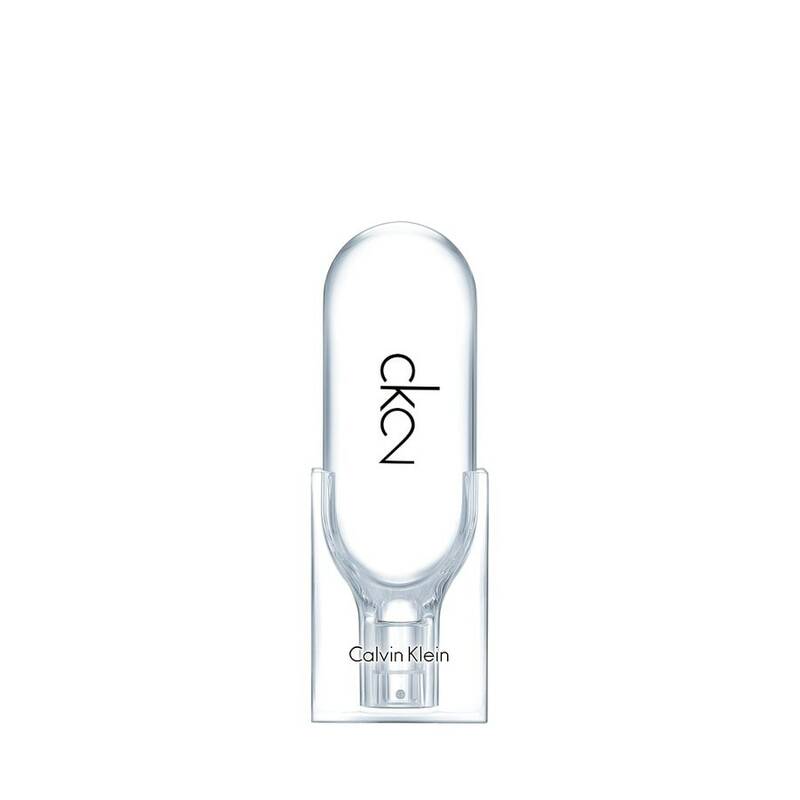 Discover Calvin Klein's CK2 Eau de Toilette a fresh, unisex fragrance that can be worn by him or her. Blending notes of violet leaf, wasabi and fruity mandarin, the EDT is enhanced by wet pebble stones, orris root and sensuous rose, before settling into a woody base of incense, sandalwood and vetiver for a distinctive olfactory experience. Housed in a transparent bottle with a unique upside-down design. Top Notes: Violet Leaf, Mandarin, Wasabi. Heart Notes: Rose, Orris Root, Pebbles. Base Notes: Incense, Vetiver, Sandalwood.